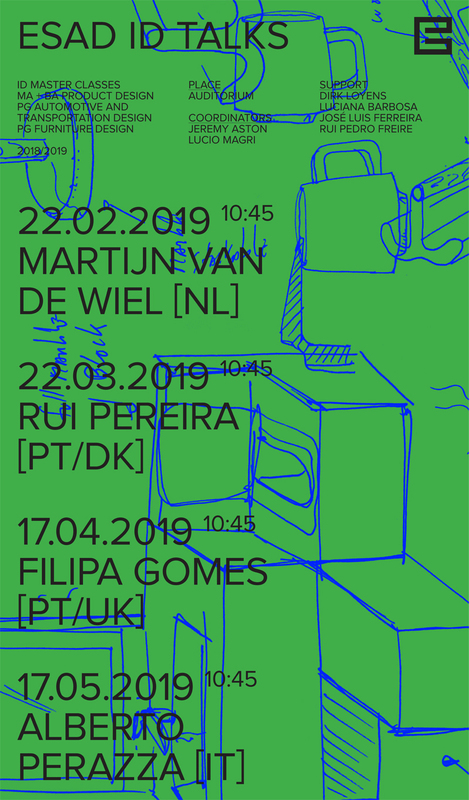 Lectures with prestigious national and international designers, held at ESAD Matosinhos (Oporto), to share their professional experiences and present the backstage of their projects and processes, as well as talk about the challenges behind innovative design solutions for today's industry. The cycle of conferences and workshops is part of the Master's program and the Degree in Product Design and Post-Graduation in Automotive and Transportation Design and Furniture Design. Senior developer & industrial designer at Hay and founder of rui-pereira.com. Rui's research focus on finding new perspectives and experiences by proposing new product typologies that create an immediate connection with the user.